Ask Us about our complimentary consultation. Relapse prevention has become our passion and mission. We believe that setting up a therapeutic community best facilitates this purpose. In this model, all residents are accountable to each other and the consequences thereof. The empowerment they are vested in gives them much more responsibility and accountability. It is our vision, at Sober Living, to emerge as a leader in behavioral healthcare by being a caring, client-driven, and mindful set of treatment programs, which is heralded in the community as a program of excellence in which even those with the most difficult problems are afforded a chance to heal, change, and alter their self-destructive lifestyles. Through treatment services, Sober Living teaches and instills integrity, mindfulness, and accountability into each of its clients. To do so, staff must role-model such behavior. Therefore, Sober Living, as an employer of choice, must be virtuous in its business operations. Treating clients, employees, funding sources, collateral providers, and the community honorably is of the utmost importance. In so doing, the culture of Sober Living is composed and nurturing, where growth and the achievement of excellence is fostered for clients and staff. 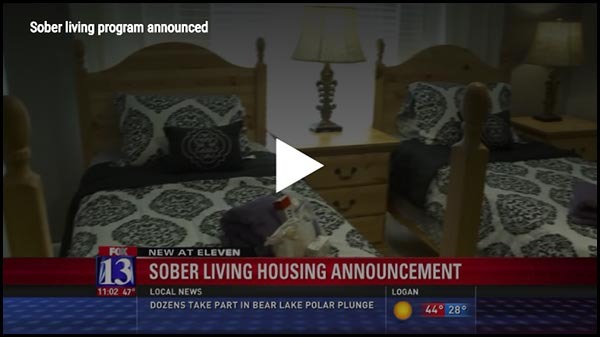 We offer an affordable “sober” community to those who may have come from a treatment facility or for those who want to prioritize their recovery in a supportive environment. Please read more about what we have to offer from our menu. We treat every resident with respect and dignity and let them know that we care for them personally. We provide a structured, therapeutic, safe and sober living environment for recovering alcoholics and addicts with the goal of recovering their self-worth. We assist individuals in staying clean and sober in a comfortable, furnished home with minimal underwriting and costs. We assist our residents with resources that will be necessary to succeed outside of our community.